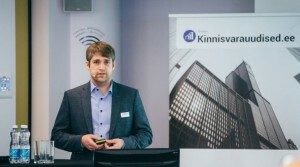 On 19 March the conference Energy Efficient Building 2019 arranged by Ehitusuudised took place. It gave an overview of latest developments in hot building topics: near zero buildings, energy labels and energy efficient solutions. Novarc and EAACEC (Estonian Association of Architectural and Consulting Engineering Companies) were represented by Kaitis Väär who made a presentation “Energy efficient building ≠ cheap design”.